Interview with July Asuncion Rey | JustRunLah! 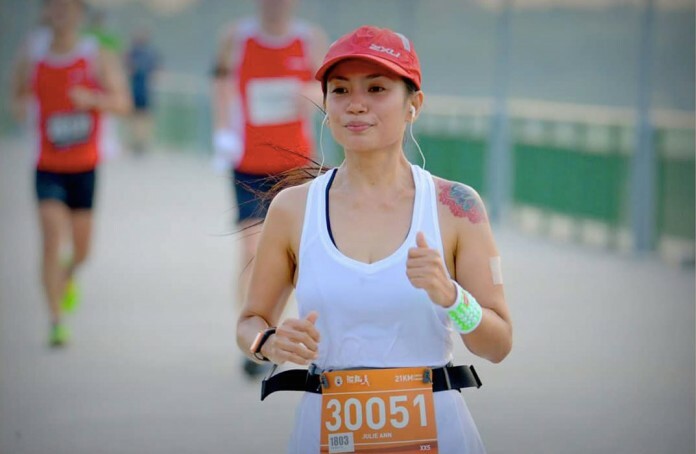 Familiars in the Singapore running community would recognise her. 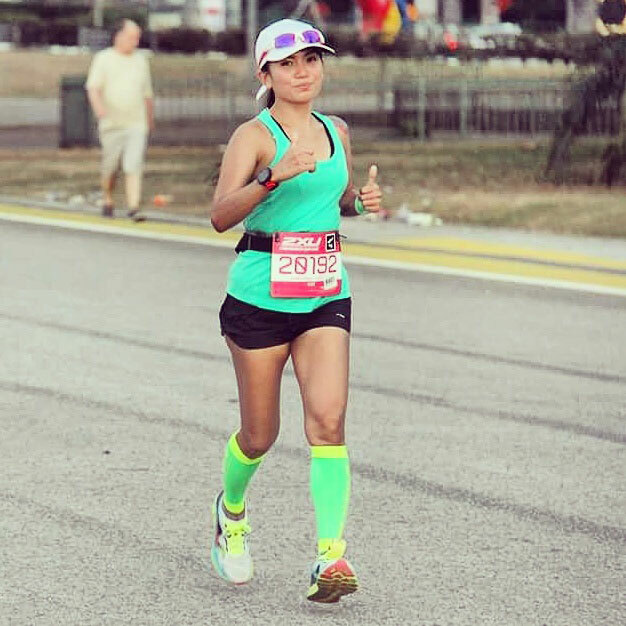 July is a mini celebrity runner, with her own instagram account (@july_04_) where she frequently shares her running progress and photos. 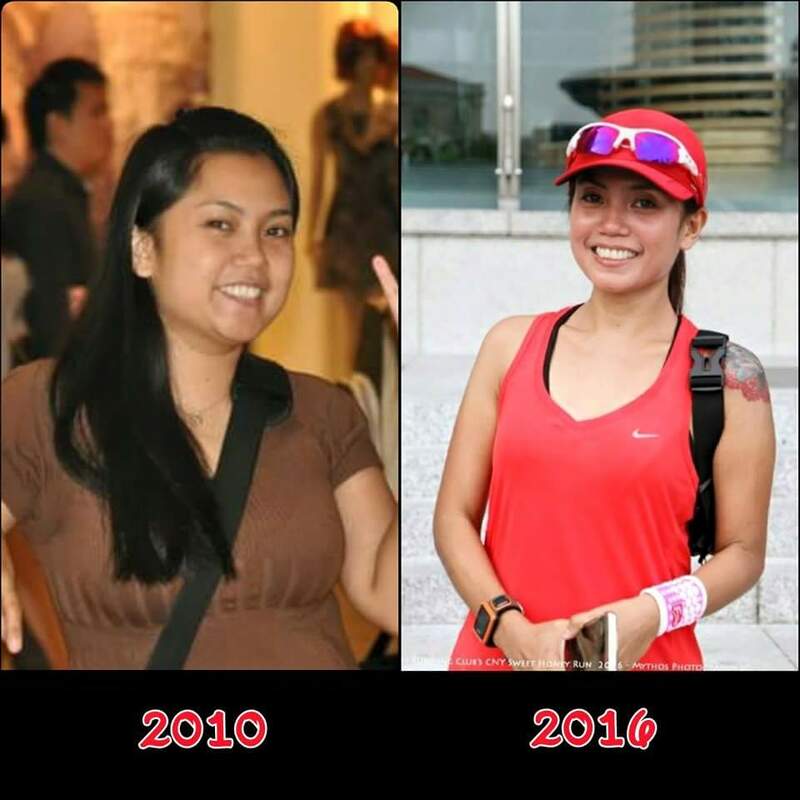 However, not many of us knew of the story behind her running journey and that she did not use to be fit and active like now. 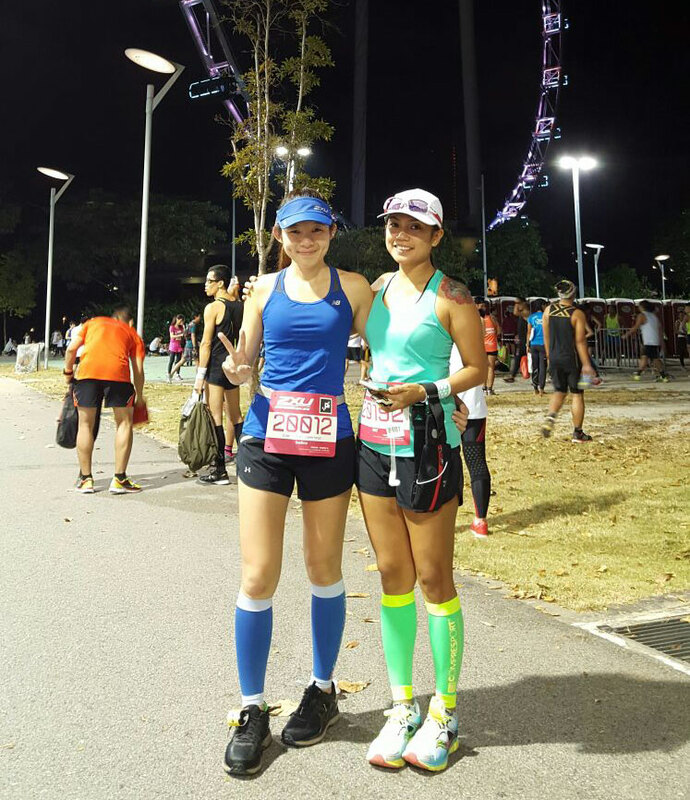 How would you introduce yourself to Singapore running community? Hi there! July here. I am a full time mom. I love running and am also inclined to dance fitness and do home work out during my free time. Please say Hello when you see me out running. Back in 2010, I was overweight. I weighed 65kg. I started losing weight on purely diet for 4 years as I hated sweating. Then I realized diet was never enough as my weight loss stuck at 10kg. So I decided to do more. Early of 2014, I engaged myself in some home work-outs. I did Dancing, Zumba, and Aerobics from youtube. Then I started leisurely running at the park as for the main inspiration then was to lose more weight and be fit. In June 2014, a friend invited me to join a Fun Run event overseas with distance of 16km (finished in less than 3hours). Then followed by another Fun Run event which is my first half marathon (finished in less than 4hours). 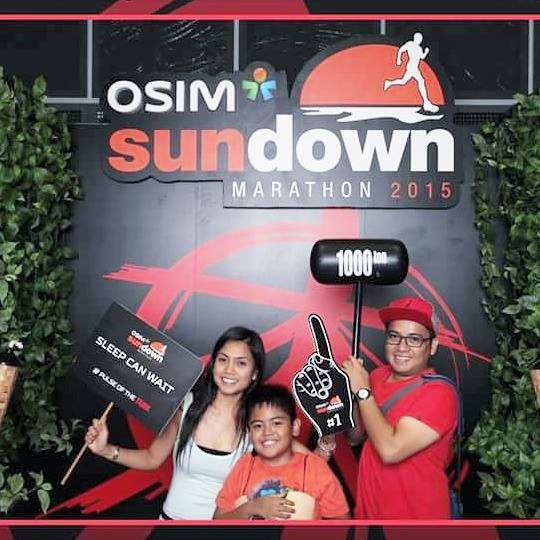 And because my timing is not that good at that time, I became more motivated and continue to join races in which that same year I did my very first 42km – SCMS2014 (finished 6hours45mins). 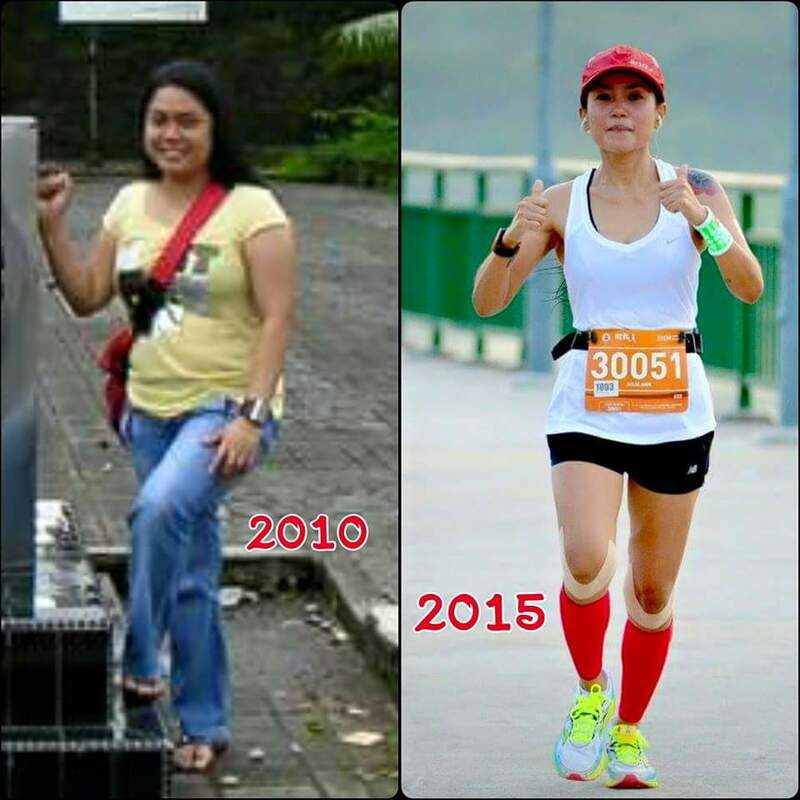 I joined more running events and started learning to do proper training and got serious with running ever since. I’ve noticed that running helps to make me healthier as I lose more weight than I never expected as now I’m down to 44 kg. Aside from that, it’s like a therapy as it makes me more relaxed, happy and gives me positive energy. Indeed, running has changed my life. “TranscendYourself”, what does the slogan means to you? Can you share with us your own transcend story? Transcend Yourself means to me what you can achieve in your life goes well beyond your limits. I never expected that I can lose that much of weight, from 65kg to 44kg. It took me 6 years to do that. As I only wanted to fit in medium size clothes. But with all the determination, perseverance, patience and hard work it all pays off. Running has taught me that I am capable of so much more than I ever imagined. 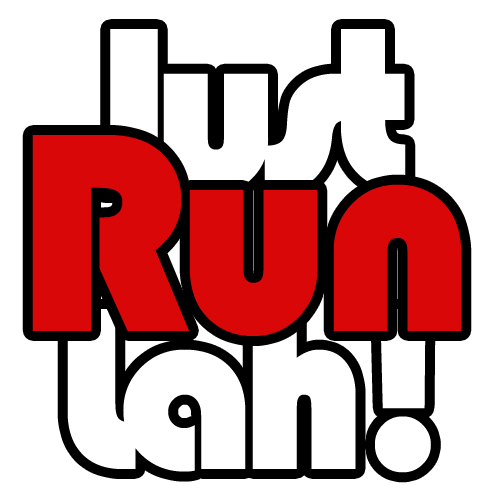 One advice for aspiring runners? I always say this…. Run Happy! Whatever your own reason to run, whether it’s for fitness, to meet more friends, for charity or personal goals and achievement, if you’re happy about what you are doing… everything will follow and you will never quit running. What is your mantra for when the going gets tough in a race? When you feel like quitting… think about why you started…. SHUT UP BRAIN SHUT UP. You can do it!!! Name one friend. Greatest transcend in a person through running. Justina Zeng. She is also a running mom just like me and she is a person who’s beautiful inside and out. She is a very fast runner and inspires me with her great passion in running. She gives her best in training even with her other personal commitments and works hard to achieve her best results. Running is the preeminent thing you can achieve for yourself. Don’t miss the last race happening at Jurong Lake prior to closing for renovation, no other than The Performance Series @ Jurong Lake (26 June 2016). The race has 10km, 5km and 2.5km categories. While we are also excited for the Jurong Lake District’s makeover, this will be a memorable run at Jurong Lake before its new appearance is unveiled. Be part of The Performance Series. #TranscendYourself and run at some of Singapore’s most iconic landscapes! Click here to register and #TranscendYourself at The Performance Series! This article was brought to you in cooperation with The Performance Series 2016.